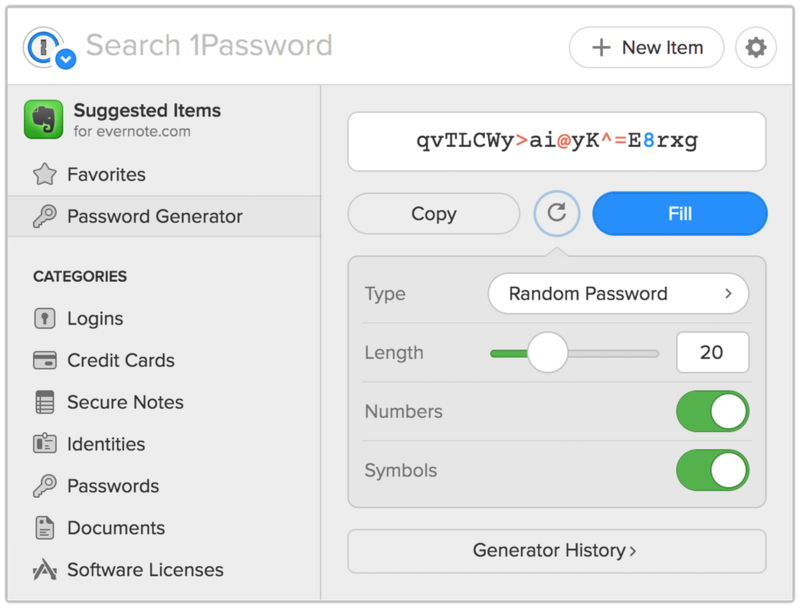 We have something pretty cool that I’m excited to share with you: the 1Password X beta now has experimental integration with 1Password for Mac. Desktop App Integration is a major new feature which we’ll eventually be rolling out to all customers, but we wanted our beta friends to be the first to try it out. That’s you! The same accounts in both 1Password X and 1Password for Mac. If any of the accounts do not match, or if there are a different number, Desktop App Integration will not work. You will need to unlock 1Password X at least once to configure things. 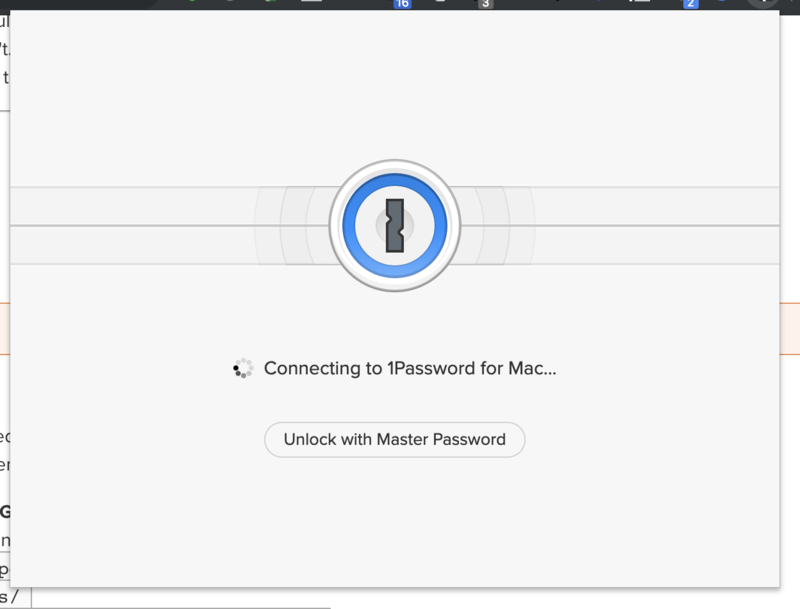 After you unlock, 1Password X will be connected to 1Password for Mac and you won’t have to go through the setup process again. How did you do this black magic? It’s neat, eh? We’ll talk about the tech closer to release, but the short answer is that the clients establish an authenticated connection through your account(s), and then use native messaging to send encrypted payloads back and forth. It’s a much more sophisticated link than the one used in our traditional desktop extension, and it allows for some really intriguing possibilities. Make sure you’ve followed the setup instructions exactly as written. If 1Password X is still not connecting (or if it’s trying to connect and failing) please let us know in the forum. Including your console logs will help us troubleshoot and get you on your way faster. I didn’t see any confirmation after following all the steps. Is it working? You won’t see any immediate confirmation. You can test the connection by locking the extension and seeing if the Mac app locks, or vice versa. Then you can try out other features, like clicking Edit on an item. The interface is still a work in progress and will become easier to use as time goes on. Can I turn off Desktop App Integration after setting it up? Sure. Just disable the feature and restart your browser. 1Password X will always be able to work independently, with or without the desktop app. I'm looking forward to a beta which is working with the Windows app. Thanks to all of you at 1Password Team! Thanks guys! I use multiple profiles on chrome and the unlock seems to be working on one profile and not on the other. I installed the beta extension on both profiles and restarted my browser, as asked. Also, Editing from 1password x doesnt work as advertised, it still takes my to my.1password.com. Wondering if I'm doing something wrong here? @udh: It's great to hear things are working great on your one profile. I'm not sure why your second profile isn't working but I'm sure we can figure it out. My first guess is that the accounts on your second profile don't match your 1Password for Mac exactly. Can you double check the accounts you have in 1Password X and in the Desktop App? I know we have one bug at the moment where the sign-in address must be identical. It means if one account uses my.1password.com and another uses mycustomdomain.1password.com, our new Desktop App Integration feature will treat them as different. This is a bug that we need to fix but for now you can workaround this by removing your account from 1Password X and then re-adding it. Please give that a go and let us know how it turns out. Yes, I'm waiting... @dteare . Hurry up please! How does it work with a beta version? When I install a beta am I in a kind like a beta-channel? Will I only get beta versions then? Or will I also get the newest final version after all the betas? Or do I have to manually switch back to the final version? How does it work with a beta version? Once 1Password is configured to use the beta update channel, you'll be prompted to get all of our beta updates including ones that are released as stable updates. The way it works is that when we're confident the latest beta update is stable, we release that same beta build to the stable channel. You can choose to switch the update channel back to stable at this point or you can keep it on and get the beta update for the next stable update. When I install a beta am I in a kind like a beta-channel? You have to manually switch to the beta update channel in 1Password's Update settings. You can do that via 1Password menu > Settings > Updates. Will I only get beta versions then? Or will I also get the newest final version after all the betas? Or do I have to manually switch back to the final version? You'll get all stable and beta updates. You can always switch back to the stable update channel via the Updates setting, you'll be prompted to get the next stable update when it is out and no more beta updates. Thanks @MikeT . And how does it look like with 1Password X? Is there also a beta-channel? Or is it an own extension? @DenalB: Good question! Chrome doesn't have a concept of "channels" for separate release types, like "beta", "stable", etc., so we have separate "beta" and "stable" extensions in the Chrome Web Store. Cheers! Good to know. Thanks @brenty . Is this integration meant to work with Chrome Canary yet? (I followed the steps - and it doesn't seem to be connected - e.g. if I lock 1Password via the Chrome extension, it doesn't lock the Mac app). Or are there specials steps we need to do to make the native messaging work? does the 2bua8c4s2c.com.agilebits.1password.json file have a chrome origin of khgocmkkpikpnmmkgmdnfckapcdkgfaf listed in it? (I realised that the entire above is rendered as one scrollable line on this forum. It looks like it does have the right origin present in it, so its not that the file is missing the appropriate reference for this to work. is 1Password 7 for Mac running when you interact with the extension? Yup, I can confirm that 1Password 7 for Mac is running when I interact with the extension. Are there any other debugging/diagnostic logs I can pull from the running extension? @gerrymcil: Thanks! I'm delighted to hear you're already in love because I'm currently working on making this feature faster and more stable. @victorhooi: I've stopped running Canary due to me wasting time tracking down issues that always ended up being a Chrome bug. However, I did just install Canary from scratch, copied over my NativeMessagingHosts file like you, and everything seems to be working fine here. Can you double-check that your version of Canary is up to date and doesn't require a restart to finish a pending update (Chrome > About Google Chrome)? Assuming everything is good to go there, can you email me your console logs from the background page of 1Password X? Can we customize suggested passwords? It appears since the update the 1P X chrome extension appears to have stopped working with the desktop integration. I've tried reinstalling the extension but to no avail. It continues to ask for the master password every time the browser restarts. Any ideas? I'm unsure why things would stop working with that update. We made many changes but I thought we managed to find a way to keep the old version of the extension working with the new version of 1Password for Mac. I suspect this will fix itself today when we release the new version of the 1Password X beta, but just to be sure, could you take a peek at your console logs and share with us any errors you see there? It's probably easiest to just take a screenshot and attach it here. I have attached a console log as requested. Awesome! Happy to hear things are back to normal for you with the new beta. Thanks for the error log by the way, it was quite helpful. I just came across this post and am excited about the Desktop App Integration and ability to use Touch ID! However, I am using Vivaldi and when I right click on the icon of the 1 Password X Beta extension, I don't get an option for Experimental Features...Am I just out of luck with Vivaldi or is there another way to set this up? Right-click the 1Password icon in the toolbar and choose “Manage Extensions”. Click the toggle next to “Developer mode” to enable it (if it isn't already). 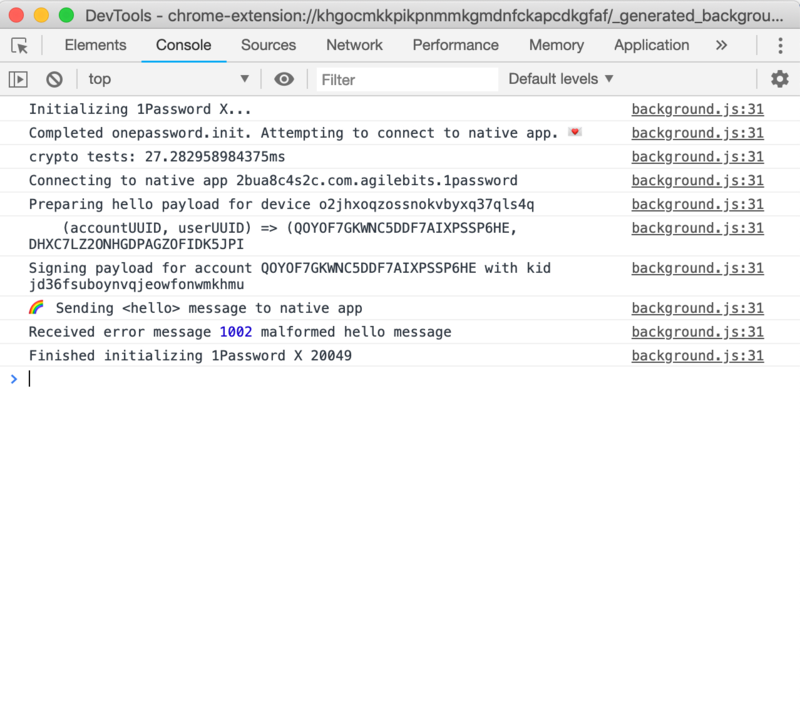 Click the Console tab in the DevTools window. Restart your browser, and Desktop App Integration will be enabled. Awesome @beyer, this is exactly what I was looking for and did the trick! It did take a little fooling around with because in the console, the "message" to the local app seemed to fail the first time, and then after I quit the browser again and reopened it for a second time it said it successfully sent. However, then it wasn't contacting the app to unlock with Touch ID, only presenting me with the password box every time it locks. I was able to fix it by locking the app, quitting out and reopening, at which time it made the connection/call to the app itself to unlock. Anyway, I continue to be impressed by the customer service in this forum. You guys are extremely active and always willing to help figure out issues. I am very happy to be a customer. Thanks! Thanks for the kind words, @geeduhb. I'm glad to hear beyer's steps worked out for you. I was excited to come across this discussion, but it's not working for me... I followed the instructions, but 1 Password X still isn't connecting with the desktop app, even after completely exiting the browser, restarting, etc. 1 Password X and 1 Password 7 desktop are both up to date. Anything else to try?